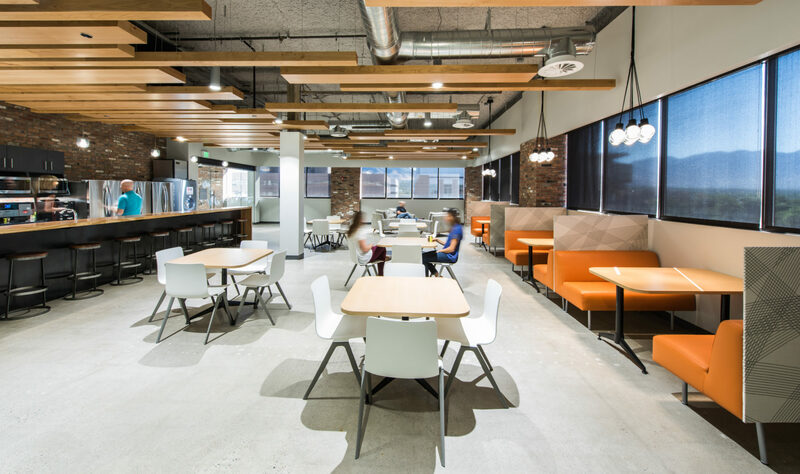 The best office interiors don’t simply facilitate productivity; they make a statement. iSolved’s unique space amplifies their brand through larger-than-life custom installations and graphics. 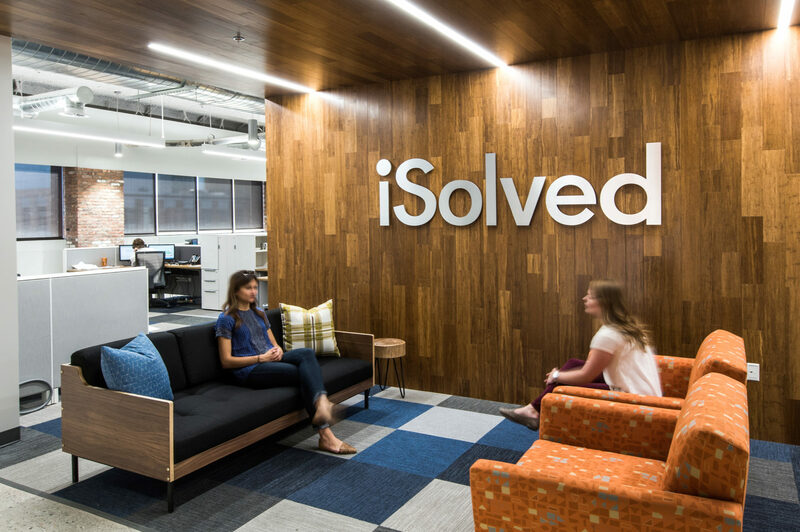 Throughout the space, graphic and architectural details remind visitors and employees of iSolved’s values, and the brand’s connection to clients through their interactive web-based products. 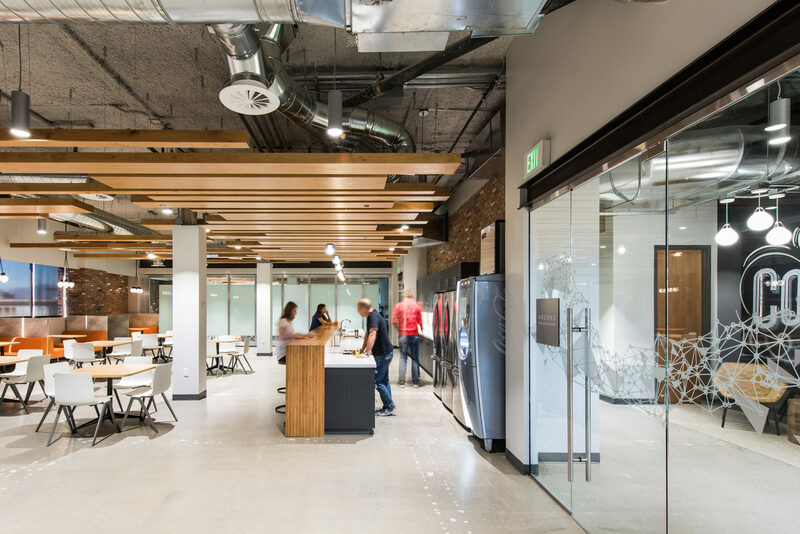 Visitors to the 37,000 square foot space are welcomed by an LED-lit, dimensional bamboo branding wall in reception, setting the tone for the entire office with its larger-than-life impact. Several collaboration areas provide media connectivity and whiteboards for brainstorming. 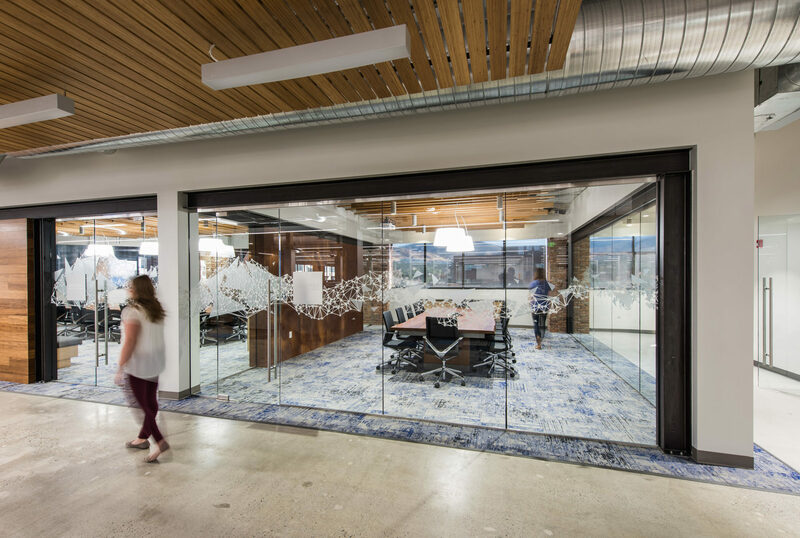 The new break room—with views out to Utah’s Wasatch mountains—celebrates the beauty of iSolved’s location, and provides employees a relaxing environment to work or take a break. 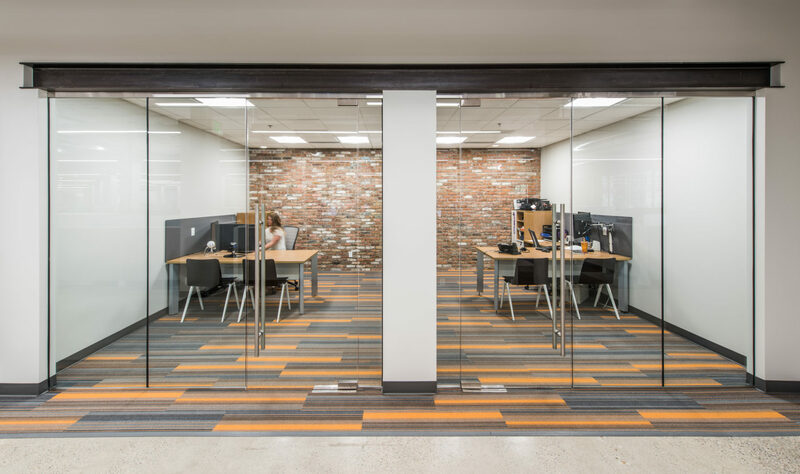 A movable glass sound wall divides the training room from break room allowing for use of these spaces individually or when opened to each other for “all-hands” meetings.